Scienceworks is a wonderful combination of old and new technology offering a range of experiences for visitors of all ages. It is also without doubt one of the best value for money attractions in Melbourne. The modern façade of the Scienceworks complex is a purpose built steel and glass structure which first opened in 1992 and sets out to make learning about science fun. Visitors are exposed to science and technology through a range of demonstrations and activities, many of them interactive and challenging. Permanent exhibitions include Sportsworks showcasing the science behind athleticism where you can race the great Cath Freeman or measure your own fitness levels. Scienceworks is also home to the spectacular Melbourne Planetarium which boasts a 16 metre dome and reclining, unidirectional seating designed to create the impression n of lying beneath the night sky. Six video projectors powered by complex software packages paint the dome with colourful, highly detailed images of the solar system. Nearby the 120 seat Lightning Room features fascinating demonstrations of electricity using a Tesla Coil array capable of generating 2 million volts and producing artificial lightning bolts. 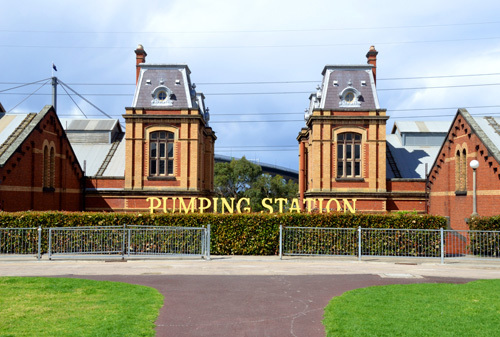 An intriguing part of the Scienceworks complex is the historic and cavernous Spotswood Pumping Station, dating back to 1897 and playing a vital role in Melbourne's sewerage system. For 70 years all Melbourne's sewage was pumped through Spotswood's complex of tunnels, pipes and pump-wells on its way to the Werribee Treatment Plant. All the pumps were steam-powered and by 1914 the station operated 10 steam pumping engines each capable of moving 36 million litres of sewage every day. 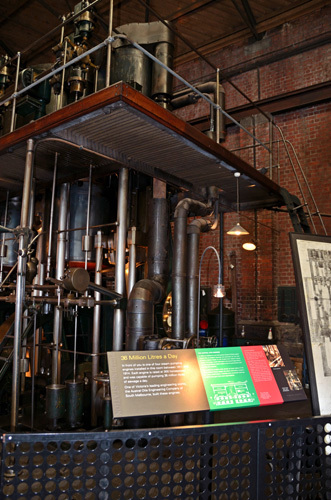 The first electric pumps were installed in 1921 but five of the original steam engines survive toady and feature prominently in Pump Station tours. Scienceworks sets out to make learning about science a fun and interactive adventure through a range of programs, demonstrations and resources.